Sir William Osler (pronounced Ōsler) was a seminal figure in internal medicine. But who was he and why does he continue to be an important influence in internal medicine to this day? William Osler lived from 1849 to 1918, and during his career he helped create the foundation of the discipline of internal medicine and was also instrumental in developing the system of clinical medical education that continues to be used today. Born in Canada and receiving his medical degree from McGill University in Montreal, Osler subsequently traveled to Europe for additional training, a common practice by North American physicians at the time given the advanced state of medical knowledge and clinical education there compared to Canada and the United States. He studied in England (where he would eventually teach at Oxford and be conferred a baronetcy by King George V), but also attended clinics in Berlin and Vienna, studying under Rudolph Virchow and other great German clinician-teacher-investigators. During this time, Osler was exposed to the emerging concept of innere Krankheiten, or “internal diseases,” that was used to distinguish between diseases of the skin, or “external diseases,” from other non-surgical disorders. Eventually the term innere Medicin, or “internal medicine,” became a commonly accepted term for the discipline focused toward the study and treatment of the internal diseases; it is this concept which Osler would eventually introduce in the U.S. The practice of medicine is an art, not a trade; a calling, not a business. What differentiated internal medicine from other medical disciplines was a deep understanding of the basic sciences (such as physiology, bacteriology and pathology) that were emerging at the time, mastery of physiology and the pathophysiologic basis of disease, and the ability to apply this knowledge to the care of patients. This approach was significantly different from existing methods of practice that tended to involve primarily observation of the external manifestations of disease and provision of therapeutic interventions based upon untested theories or traditional treatments. Thus, internal medicine differed fundamentally from existing medical practice by a specific “scientific attitude” that distinguished it from the mind-set and methods of most physicians at the time. Osler was also a diligent and astute observer of the clinical aspects of patient care, as well as of patients and physicians as they engage in the process of medical care. He engaged patients as active participants in the diagnostic process, spending significant time at the bedside and stressing the history and physical examination (with at least 4 clinical findings or conditions bearing his name) to provide essential clinical information. His writings also reflect a keen understanding of human nature and the impact of disease on individual lives. His thoughts and ideas regarding the attitudes and self-discipline required to be an effective physician have continued to resonate with internists over the past 100 years. 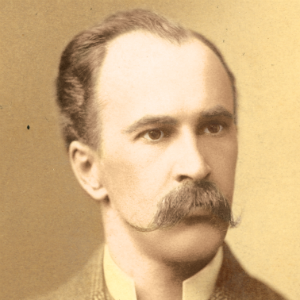 Another of Osler’s major accomplishments was the development of the first housestaff system for residency training, as well as introducing bedside teaching to medical students during his time at the newly-created Johns Hopkins Hospital, neither of which existed in the U.S. medical education before the turn of the 20th century. Many of the concepts he introduced into clinical medical education continue to be used today. Many consider William Osler to be the consummate internist, embodying the professional attributes and personal characteristics that distinguish internal medicine from other medical specialties. As reflected in his teachings, writings, and the way in which he lived his personal life, Osler conveyed a disciplined scientific approach to patient care incorporating a deep humanism and intellect while retaining the ability to provide practical wisdom and advice on the everyday challenges of being a physician. These are the values and characteristics that many internists strive to emulate in their own lives and practices. Michael Bliss. William Osler: A Life in Medicine. New York, NY: Oxford University Press, 1999.